You'll begin your tour at Wet n' Wild at approximately 7:30am in order to meet up with your guide and fill out the necessary paperwork. The driver of the jet ski will need to bring their drivers license, or a form of identification with picture and birth date, along with any other personal items you would like to have with you like a camera, drinks, etc. Once the forms are filled your guide will fit you with a life vest and begin the orientation of the jet ski, along with instructions on where you and the guide will be going to see the dolphins. You will then be pushed from the dock and be off on the adventure! 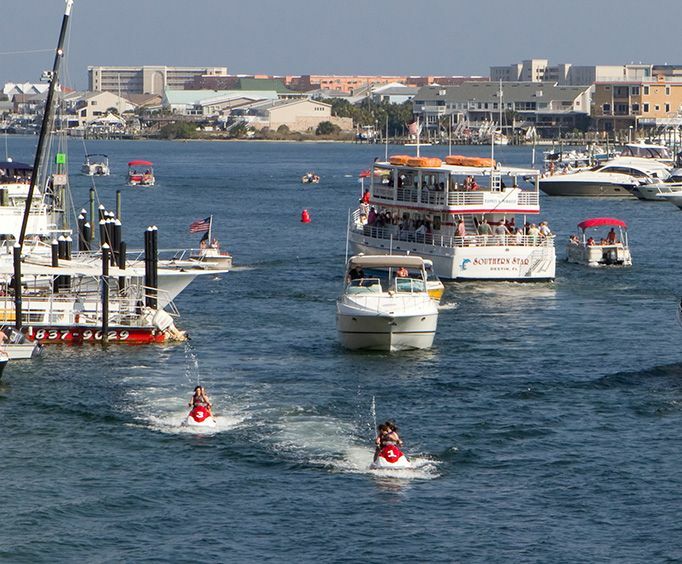 Your guide will give you necessary directions, along with answering any questions you may have through the hour an a half tour, which includes a free ride time on your jet ski. 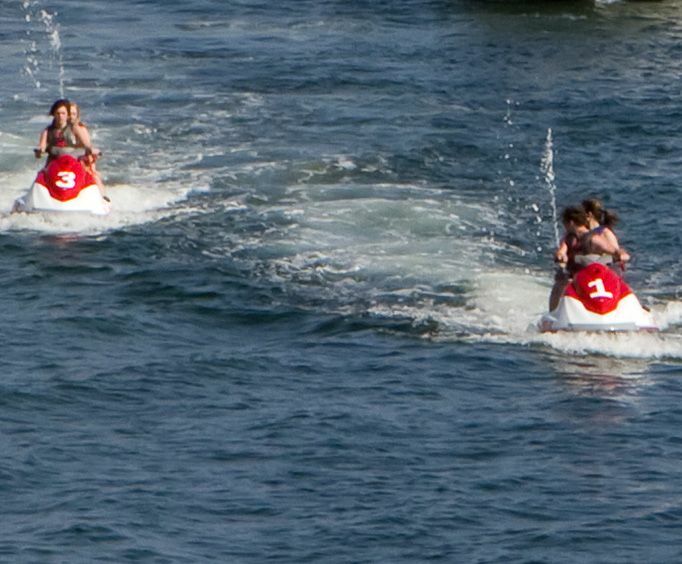 At the end of your tour you will come back to Wet n Wild and will have assistance in re-docking your jet ski along with any other help you may need. Once all is done, you are free to keep enjoying your vacation and sharing all the memories made! Departure Times: 7:30am for paperwork and instructions, 8am start time for the tour. Wear your bathing suit! You may get wet. 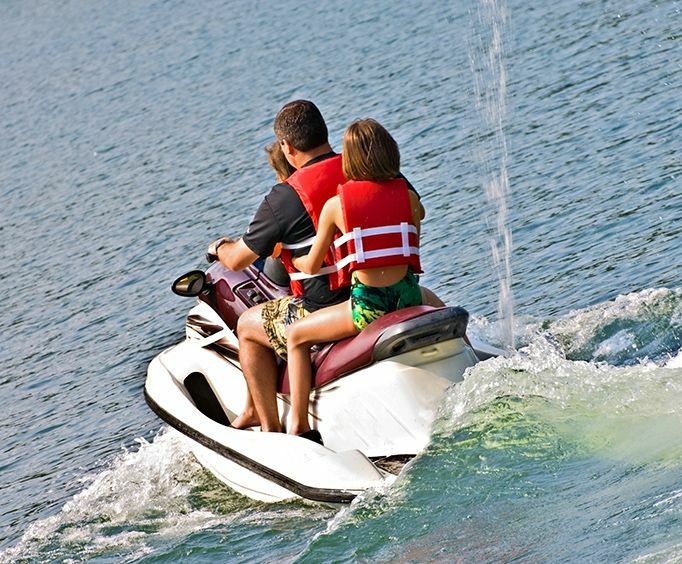 Please note: 14 year olds can't legally drive a jet-ski, 15 and 16 year olds have to have a parent ride with them, 17 year olds who want to drive must have parental permission.